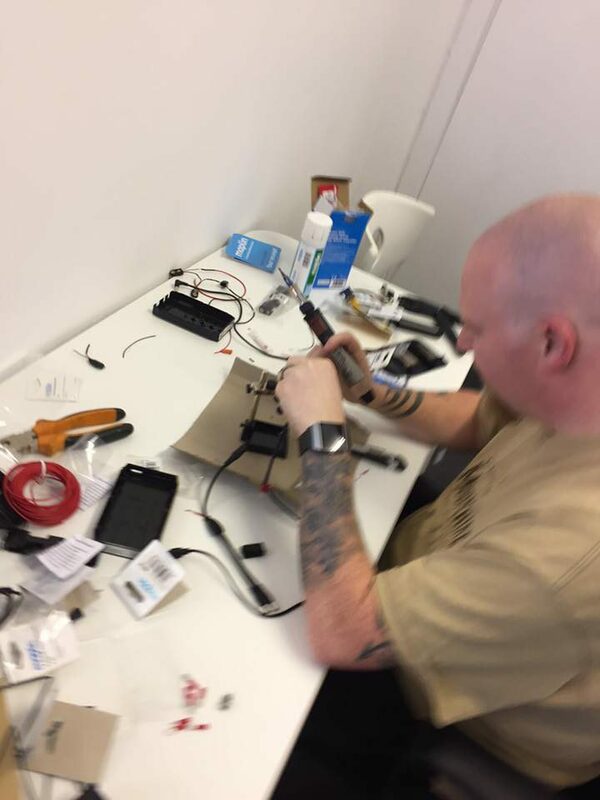 Between our UAV, video and development projects we love nothing more than building things. We were set a task by our studio partners BlueStar Streaming, to develop a product that can provide an internet connection “anywhere”. 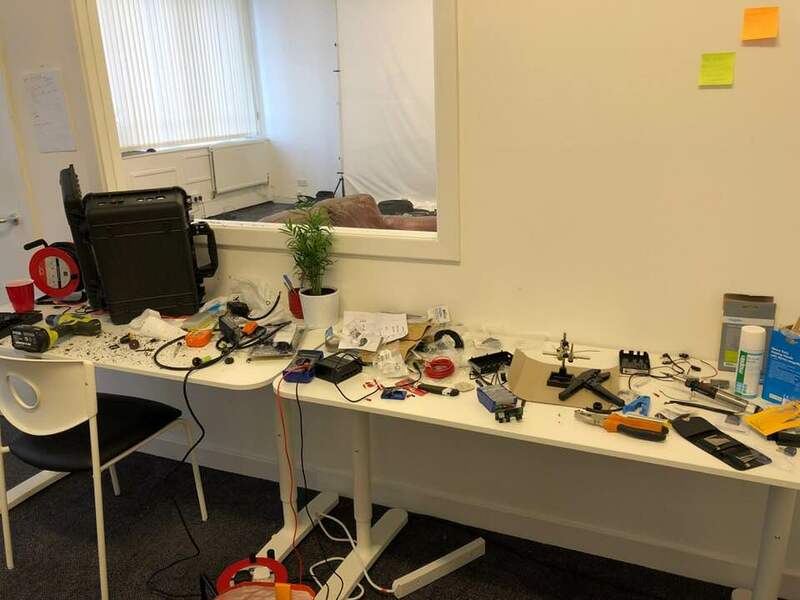 To allow for live streaming from locations without an internet connection, or even a power source, and be robust enough to withstand video production crew abuse. They supplied us with an industrial 4g router and a pelican case they wanted it all to fit in. The box had to provide both WiFi and wired connections, along with being reasonably waterproof. Time to get the tools out…. After some soldering, crimping, heat-shrinking, cutting, drilling, grinding, swearing, and wiring, we are done! 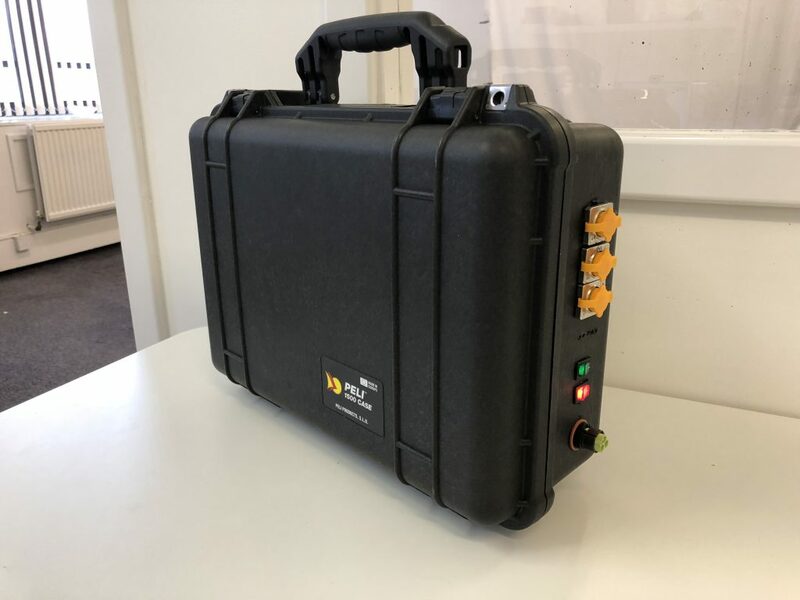 We are quite pleased with the end product (below), a pelican case which can provide wired and WiFi internet access using the 4g mobile network. The case features 3 waterproof network ports, master power switch (red) and router power switch (green). Charge level indicators and antenna connections to enable the external antenna to be connected if coverage is poor. And the big benefit is that once charged, it can provide a network connection for around 36hrs!. You can probably guess why we have nicknamed it “Da Bomb”.